We bring forth the finest quality Silica Ramming Mass which is manufactured from the best quality raw material. The Silica Ramming Mass decides the heating performance of the furnace. Silica Ramming Mass we offer facilitates smooth functioning of the furnace better metallurgical control and optimum output. We check the magnetic process for Silica Ramming Mass free of iron with accurate granule composition as per the furnace capacity. 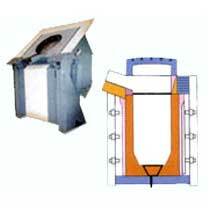 Furnace Specific Benefits : We provide material as per the furnace capacity as well as make of the user. The granulation of the mix is optimized as per the furnace make and capacity, to get best results. Silica Ramming Mass has less binders, moisture and fire clay as compared to plastic refractory.